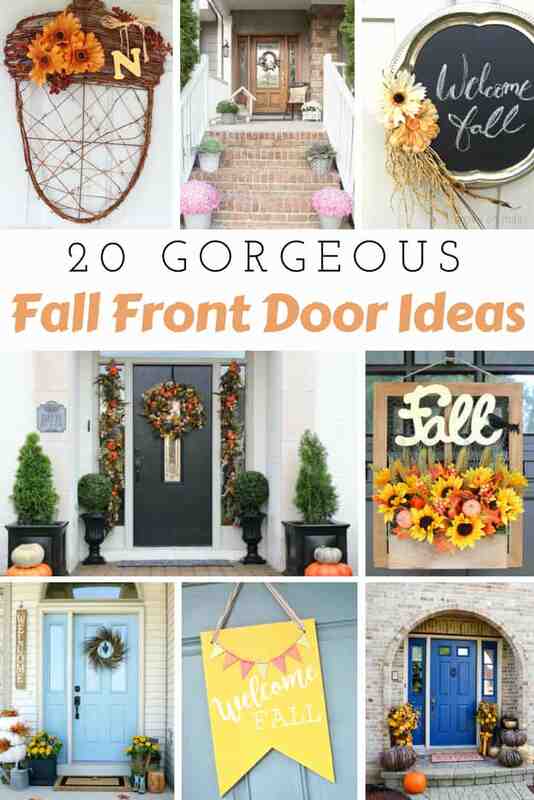 Fall Front Door ideas are some of the most festive, inexpensive home decorating options out there! They provide amazing curb appeal and get everyone in the mood for some fall holiday fun! Since I live in the South, it’s November by the time the weather cools down enough to feel more like fall than summer. Even though we’re pushing 80 degrees in October, I still want my house to look festive. That’s where fall front door decor comes in! Hanging up fall wreaths and door decorations may seem a little bit like a “fake it ’til you make it” attempt when it’s so hot outside, but I’ve discovered that decorating helps my family get in the mood and makes the holidays even more special. There are many different fall door decorating ideas to choose from, but my favorites are the ones that you can make yourself and use year after year. When you have the perfect fall wreath or door sign, adding some pumpkins or mums by the entry way can complete the look in no time! 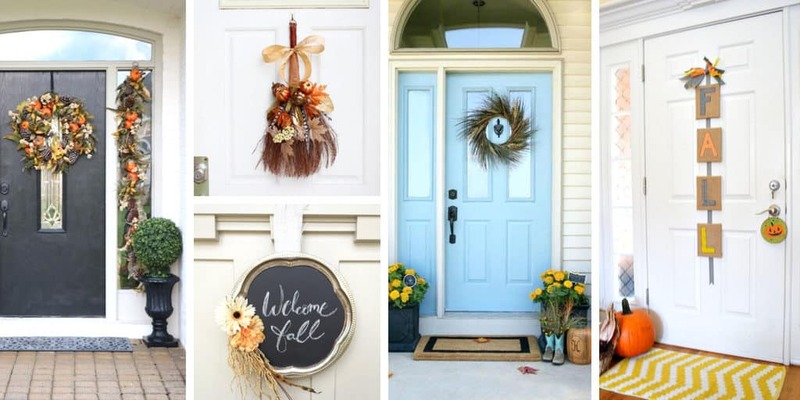 Luckily, the majority of the front door decorating ideas below are easy to DIY, but will give your home the perfect fall look. Give them a try and let us know which ones are going to decorate your front door this fall! Be sure to share with us below or join us in the Oh So Crafty Facebook group where you can share your crafting genius with other crafty friends! What are some of your favorite ways to decorate the front door for fall? Share your ideas below! We’d love to hear how you make your front door look festive! Check out these summer front door ideas, spring front door ideas, winter front door ideas too!